Welcome to edition 449 of Insider Weekends. Insider buying increased last week but remained lackluster overall with insiders purchasing $11.46 million of stock compared to $7.58 million in the week prior. 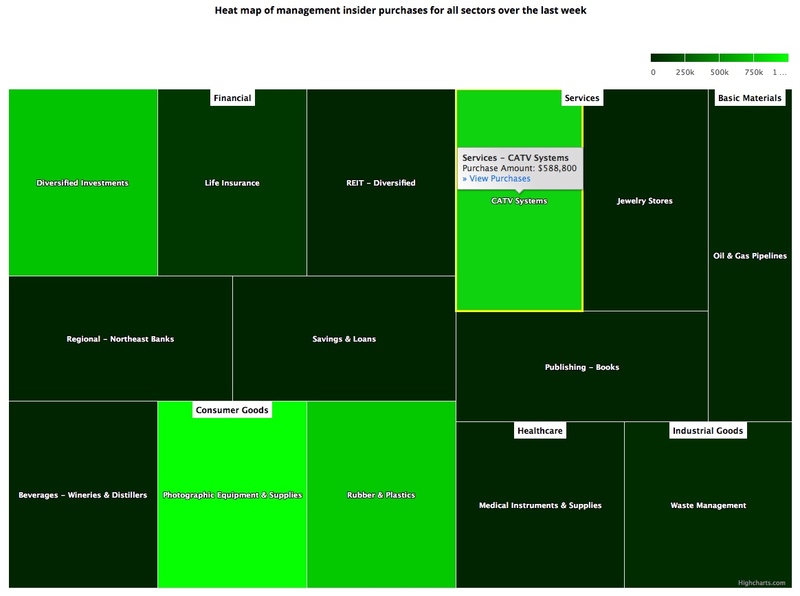 Selling declined with insiders selling $356.43 million of stock last week compared to $464.73 million in the week prior. Sell/Buy Ratio: The insider Sell/Buy ratio is calculated by dividing the total insider sales in a given week by total insider purchases that week. The adjusted ratio for last week dropped to 31.09. In other words, insiders sold more than 31 times as much stock as they purchased. The Sell/Buy ratio this week compares favorably with the prior week, when the ratio stood at 61.31. You can view the list of recent insider transactions for CTI Industries Corporation here. You can view the list of recent insider transactions for Guaranty Bancshares, Inc. here. Switch priced its IPO at $17/share in October 2017 and after experiencing a first day bump that saw its stock price jump to an intra-day high of $24.90, it has been pretty much downhill for the stock since then. Revenue growth has moderated in each of the last three quarters, falling as low as 5.2% in Q3 2018 and the company missed both top line and bottom line estimates in each of the last three quarters. In this age of virtual servers dominated by offering from AWS, Azure and Google Cloud, it is not surprising to see a traditional data center company find it difficult to grow its business. You can view the list of recent insider transactions for Switch, Inc. here. You can view the list of recent insider transactions for salesforce.com, inc. here.